In the bike race, Marc Coma made the performance of the year by leading the rally from start to finish. A feat unseen since 1997 in a Dakar-Dakar when someone called Stéphane Peterhansel had taken command of the raid the moment he started it en route to Tambacounda. Headed for the Argentinian Pampa, Spain’s Coma hit hard right away. A true slap in the face for his adversaries who suffered because of tire problems: Coma stole 41’ to a desperate Despres, 1h01’ to a David Casteu in tears. Only Frétigné managed to limit the damage by “only” conceding 28’ to Coma. Two weeks and a few more rear tire problems for his contenders later, the tough Catalan won his second Dakar after a last stage where he just followed his main rivals from a safe but sure distance. At the end of a well-raced raid, Coma won wisely with a 1h25’ lead over Despres and 1h38’ over Frétigné. Three years after his first Dakar victory, the KTM-Repsol rider gave Spain his third victory on the rally-raid.Unable to catch up on the undoubted leader, Cyril Despres did however win 4 special stages - against 3 for Coma -, which brings his stage victory total to 20. Third of the Dakar, David Frétigné, riding his “small” Yamaha, had his best performance ever on the raid winning at the same time the 450cc category race. In the standings of this 31st edition, we will also note the presence of the best woman in the Dakar, Dutch female biker Mirjam Pol, ranking 53rd in the standings. Her countryman, Rob Van Pelt, 33rd wins the bike amateur standings that rewards those bikers who rode without assistance.In the quad race, Josef Machacek was the bravest of all 13 riders to finish the Dakar - there were 25 of them at the start. The Czech who is almost 52 years old was - once again - amazingly steady, winning 4 special stages and finishing the 10 others in the Top 3. The Yamaha rider wins here his fifth Dakar. He finishes 2h35’ ahead of local hero Marco Patronelli, second in the standings. The other top performer of the quad race is Elisabeth Kraft, who enters the history of the Dakar by being the first woman to finish the rally-raid on this funny machine called quad. 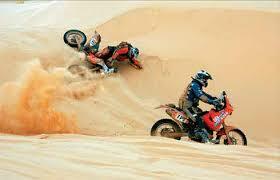 If there are areas where chance is only a marginal factor, it is indeed the world of enduro racing and mechanics. The success of Volkswagen taught those who did not know it that victories are built in the long run, especially in a race like the Dakar. The investment of the German manufacturer, whose goal was to bring the first diesel engine to victory on the most demanding of all rally-raids, started in 2003. After hesitation, progress, confirmation and tough times, it’s in 2009 that the Race Touareg reached its goal by being the master of the race from the beginning till the end. If the dramatic turn of events of stage 12 - the fatal crash of Carlos Sainz - deprived VW of a Grand Slam, the three remaining cars finished the race in the Top 6 with Giniel De Villiers and Mark Miller ranking first and second. With 10 stage victories out of 13, the crews of Kris Nissen did not leave much to their contenders. This might seem a bit harsh for the others in the race but it responds to a firm will of preserving the whole team from the worst. 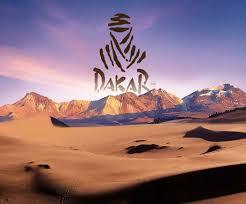 By the way, the profile of the new winner of the rally corresponds perfectly to the demands of the Dakar. In his five previous participations, the South-African driver gave the impression of being steady and making progress at all times; his victory this year is also the victory of his patience. And patience is also exactly what Team Mitsubishi must start learning. After an uninterrupted series of 7 victories and a track record with 12 titles in total, the Japanese team finished this Dakar with just one car out of four ranking fourth in the general standings. Since they arrived on the Dakar in 1984, the absence of the Mitsu drivers on the final podium only happened twice before in 1990 and in 1994. This year, Hiroshi Masuoka, Luc Alphand and then Stéphane Peterhansel all left the race prematurely. The last of the Mohicans at Mitsu, Joan “Nani” Roma did his very best to keep his place in the top 3 but collapsed in the stage of La Rioja. His proud reaction the next day when he got the best clock in the Cordoba stage is a very small consolation price for the team: indeed, in order to successfully convert the cars to diesel engines, the engineers and technicians still have a long way to go. The race through elimination also touched the X-Raid team with the exclusion of Qatari Nasser Al-Attiyah, when he was in the lead of the general standings. The level of performance of the BMW X3 had allowed him to win two stages but his lack of reliability forced his to drive around a line of dunes, which led to his exclusion from the raid. Argentina’s Orlando Terranova, who was starting to impose himself slowly upon the elites, had to withdraw from the race after a major driving error. In the T2 category, Nicolas Gibon gives a new victory to Toyota in this category and also - more importantly - ends up in 14th position in the general standings, whereas the best vehicles engaged in the Production category tend to generally rank around the 40th position. His closest contender, Xavier Foj, also demonstrated the competitiveness of T2s as he finishes 16th of the rally-raid. Finally, the only 100% female crew registered to start in Buenos Aires, with Florence Migraine Bourgnon behind the wheel and Clémence Joyeux handling the road book, managed to finish the raid and ranks 86th in the general standings. As to the last one in the general standings (91st! ), he is also a winner in his own right in his category as Jose Manuel Salinero was the only one who drove the whole Dakar alone in his car. From the first to the last stage in the truck raid, the race was intense and there were many unexpected turns of events. From day one on, it was the Dutch participants who stood out. 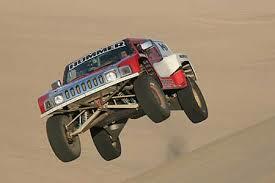 Van Vliet won the stage and became the first leader of this Dakar in front of De Rooy, while Chagin was only 7th. But the real turn of events of this opening went to Hans Stacey. A flat tire relegated him 39 minutes behind the pack and started the list of his setbacks. The leader of Team Man withdrew at the start of stage 8. Young De Rooy benefited from it to leave his mark on the early stages of this Dakar. Leader as of day 2, De Rooy stayed in the lead for four days and won a total of three stages. But the Dutch mark on the rally was going to fade at mid-raid and give way to the Russian trucks. Kabirov took the lead in the general standings at the end of stage 6, which opened a fascinating pursuit between the many-time winners of the Kamaz team. Chagin and Kabirov took turns at winning stages and at taking the lead in the general standings, and fought a spectacular fight with no mercy. The conclusion of this fight happened in the last special stage when Firdaus Kabirov finished just 30’’ ahead of Chagin and won his second Dakar, pushing Chagin back at 3’39’’ in the standings. Only Gerard De Rooy sort of stood his ground in this final stage and ends up getting third place on the podium, right in front of Mardeev. With 3 trucks out of 3 in the four first places of the general standings, this year, the Kamaz trucks were simply untouchable. Este artículo fue publicado el Lunes, 9 Febrero 2009 a las 16:56	y archivado en la categoría Sport. Puedes seguir cualquier respuesta a esta entrada a través del canal RSS 2.0. Puedes enviar un comentario, o enlazar desde tu propio sitio.